Blendle is a Dutch media startup that lets you pay a few cents for individual news articles online—the much chattered-about micropayments model that’s one of many on a long list of strategies destined to save the business of journalism (or not). And now it’s available in the US. Instead of paying for a subscription to a publication, Blendle lets you pay for single articles from a range of major publishers on its site. One of the perks: you don’t have to see ads. You also don’t have to pay a monthly subscription for a single publication, or juggle usernames and passwords for all the news sites with paywalls. “We’re seeing more and more restrictions of content,” Alexander Klöpping, the cofounder of Blendle, told WIRED in an interview late last year. “More publishers are moving to a subscription model on the Internet.” He says Blendle is seeking to fix that by giving you access to stories you might otherwise not be able to read—for a fee. For the news industry in the US, micropayments are a pretty radical alternative. Traditional publishers have long depended on advertising and subscription revenue to fund their businesses. But as more readers get their news online, and more of those readers are using adblockers, both of those revenue streams are under threat. “A year ago, most publishers wouldn’t have done it. I think a lot has changed in a short period of time,” Klöpping says. The idea of micropayments for journalism has existed for years, but they’ve never really caught on. On the web, not only does information want to be free, as the ethos goes, but it also wants to be simple. Micropayments add an additional layer of friction. Publishers appear to hope Blendle will be different because it has drawn in thousands of readers in the EU. But ultimately, the success of micropayment depends on how willing you are to pay for what you read. Columbia Business School professor Rita McGrath says a market for micropayment may exist, but whether readers follow through depends on how easy it is to pay. People already hate pop-up ads and pesky paywalls; they won’t want to pull out their credit card each time they want to read an article, either. 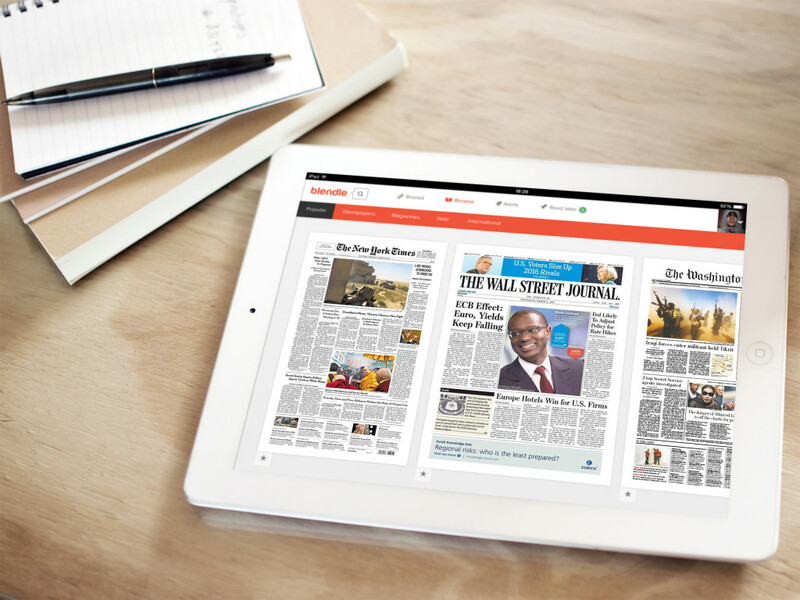 Blendle says it hopes to provide an easy reading experience by letting readers fill a digital wallet, which they can then use to pay for articles by clicking on them on the site or app. “If they can make the interface that easy and allow people to pick and choose, that could have a very positive effect,” McGrath says. But other factors could also make readers less willing to shell out, even if it’s just a little. For one, says University of Minnesota professor Andrew Odlyzko, you can get a lot of news from other sources. If you want to read about Apple’s battle with the FBI, you might not be willing to pay for a story from the Financial Times, one of the earliest publications to experiment with digital pay-to-read plans. But you could probably find a story that gives you the gist somewhere else for free. “There are only a small number of stories that are really unique,” Odlyzko, a longtime micropayments researcher, says of any given publication. Those are the stories that Blendle has to push. Moreover, Odlyzko thinks the added layer of complexity of reading through Blendle’s site or app will limit its appeal. “A little niche market might exist,” he says. But the overall trend is towards more simplicity. Most people, he argues, don’t want to go through the hassle of having to use another interface; take the time to decide what to buy, and then spend money buying that thing—especially if a similar story is readily available on Facebook for free. If micropayments do work, they could be a financial boon to publishers. At the same time, McGrath warns that micropayments—especially those facilitated by a third-party platform—could have an insidious effect on what readers read and writers write. If readers are buying individual stories instead of paying for a subscription directly, she says, Blendle could decide what kinds of stories or topics to promote and which to bury. Meanwhile, if editors and writers can reap real monetary success from the platform, they may begin to shift the kinds of stories they write to what people are willing to pay to read. “Are people going to pay to read stories about Syrian refugees? About abuse?” McGrath asks. Will writers even need to work for The New York Times? But with millions of articles being found and shared on social media rather than their own sites, publishers have already lost significant control. Selling individual articles doesn’t seem worse by comparison. For now, newspapers and magazines seem willing to try anything to draw in more readers who may, one day, be willing to pay for news they truly value.